The Labor Day holiday weekend fun is about to begin, and we suggest you celebrate by sitting back and sipping on this Lavender Lemonade Cocktail from Takeya. Light, refreshing and with just the right amount of lavender for floral notes (it’s like a spa treatment in your mouth!) and tequila for zip (and, ahem, relaxation), it’s one of our favorite ways to give summer one last hurrah. 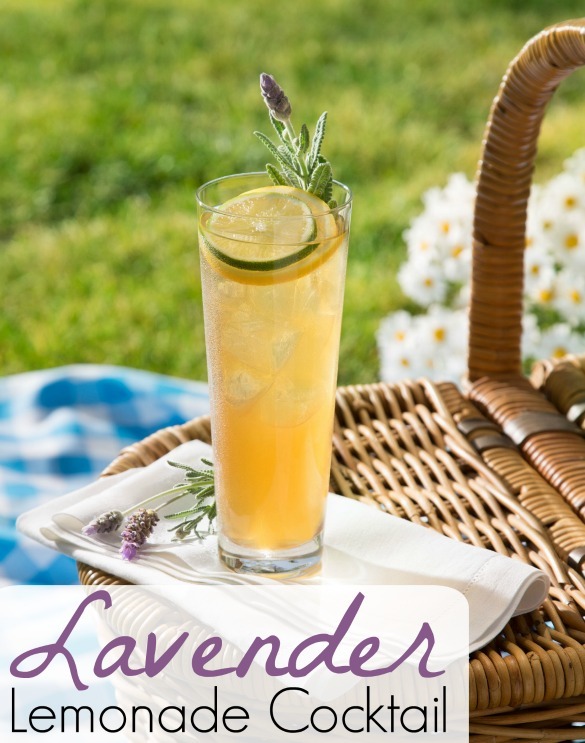 Sit back and sip on the last bit of summer with this Lavender Lemonade Cocktail that combines healthy tea with tequila for a fun and refreshing twist on your usual lemonade. You'll need a 2-Quart Takeya Iced Tea Maker, Citrus Juicer, Fruit Infuser and Infuser Extender to make it. Twist the Citrus Juicer into the top of the pitcher and juice the lemons. Twist off the Citrus Juicer and pour lemon juice into medium pot on the stove. Add dried lavender blossoms to the Tea Infuser. Tear open one TAKEYA Tropical Black Tea Packet, pour tea into Tea Infuser and twist into lid. In medium pot, add water to fresh squeezed lemon juice. Bring to a boil, cool for 1 minute, and fill the pitcher halfway. Lower the lid with attached Tea Infuser into the hot water, allowing steam to vent, and brew for 5 minutes. Remove the lid and detach the Tea Infuser. Stir in sugar until dissolved. Top off with ice, seal lid and shake for 30 seconds to flash chill. Remove 13 ounces of the iced tea to make room for the fruit infusion and tequila. Top off iced tea with tequila. Twist the Fruit Infuser into the Infuser Extender and add lemon and lime slices. Twist the Fruit Infuser into the lid, lower it into the iced tea and seal airtight. Infuse in the refrigerator for at least 4 hours before serving. When ready to serve, pour over ice and garnish with a lemon slice, lime slice and fresh sprig of lavender.